Like Lyft, Sidecar drivers have also been targeted by Uber’s recruitment efforts, Sidecar’s CEO said Thursday—though he admitted that his own company has tried in-car recruitment in the past too. It’s happened in nearly all of the 10 cities where Sidecar operates, and recruiters sometimes offer drivers $500 to make the switch, he said. Sidecar knows about the recruitment efforts because it hears about them from its drivers, Paul said. It hasn’t received reports about Lyft using similar techniques. 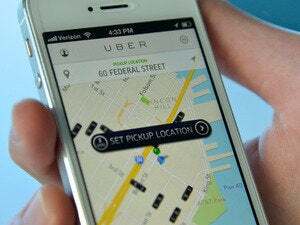 Uber’s recruitment efforts sparked controversy this week after The Verge published a report on its tactics, which include dispatching contractors with disposable smartphones to help them avoid detection. When asked, Paul acknowledged that Sidecar has tried in-car recruitment, though he said it’s not currently doing so. And he said Sidecar doesn’t use “deceptive tactics” for its recruitment, like using disposable phones to cover its tracks. Still, it’s starting to look like Uber’s recruitment efforts aren’t so unusual after all. Paul declined to say how often Uber has tried to poach his drivers, and he said Sidecar doesn’t try to track whether rivals are canceling rides.